This is a guest post by Ben Hook; Head of Search at UK based SEO Company Navaro. Eric Enge: Let’s say you move from one domain to another and you write yourself a nice little statement that basically instructs the search engine and, any user agent on how to remap from one domain to the other. In a scenario like this, is there some loss in PageRank that can take place simply because the user who originally implemented a link to the site didn't link to it on the new domain? Matt Cutts: That's a good question, and I am not 100 percent sure about the answer. I can certainly see how there could be some loss of PageRank. I am not 100 percent sure whether the crawling and indexing team has implemented that sort of natural PageRank decay, so I will have to go and check on that specific case. (Note: in a follow on email, Matt confirmed that this is in fact the case. There is some loss of PR through a 301). Google have been strong advocates of the 301 redirect and have openly encouraged webmasters to use them when pages need to be redirected. It will come as a shock to see that pagerank is lost this way but for many websites they have no other option. This highlights the necessity to get things right from the start. An area where this will probably be overlooked is the 301 canonical redirect. This is where a 301 redirect is implemented to make sure that the search engines are seeing more that one copy of your website. It has also been used to redirect any links that point to the non www. version of your site and pass on the value of these. Unfortunately for webmasters who have links to both the www and the non-www versions of their websites, this will result in a loss of pagerank somewhere along the line. Also certain webmasters have been noticing that the anchor text of links is not as effective when passed through a 301 redirect. If a webpage was linked to with an obscure term it would usually rank for that term with an “inanchor” search in Google. If the linked to page is 301 redirected, there have been instances reported where the target page does not show up, indicating that the anchor text is not being used in the same way it was previously. This will lead to a decline in the amount of domains being purchased purely for redirecting the backlinks, but will also have a dramatic effect on any sites that have to move domains for whatever reason. Up until this point the 301 redirect had always been the preferred method of redirecting pages, but with the pagerank loss factor taken into account this may no longer be the case. 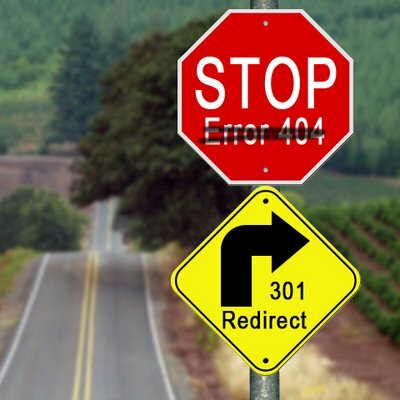 The other methods of redirection are ineffective and /or not as search engine friendly as the 301. The only suitable alternative for webmasters is to manually contact all of the link sources and asking them to point the links to the new page. This may not be effective or possible for all of the links but certainly try to get the most important/trusted links pointed to the new page and 301 the rest. As there isn’t any conclusive evidence of the exact loss of pagerank, the effect it has on the anchor text or the trust of the link, it would be wise to avoid redirecting the most important links. With all the changes being made recently it highlights the increasing importance of getting things right from the start.